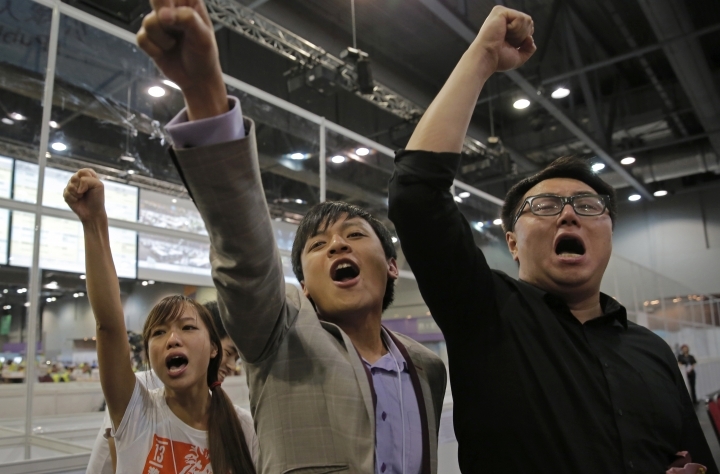 HONG KONG — A group of young Hong Kong pro-democracy activists pulled off a stunning election victory, gaining a foothold in the southern Chinese city's legislature and setting the stage for a new round of political confrontations with Beijing, official results showed Monday. The candidates, who helped lead massive 2014 pro-democracy street protests, will now seek a vote on changing the way the city is governed by China's Communist leaders, but they'll face resistance from Beijing, which rejects separatism. 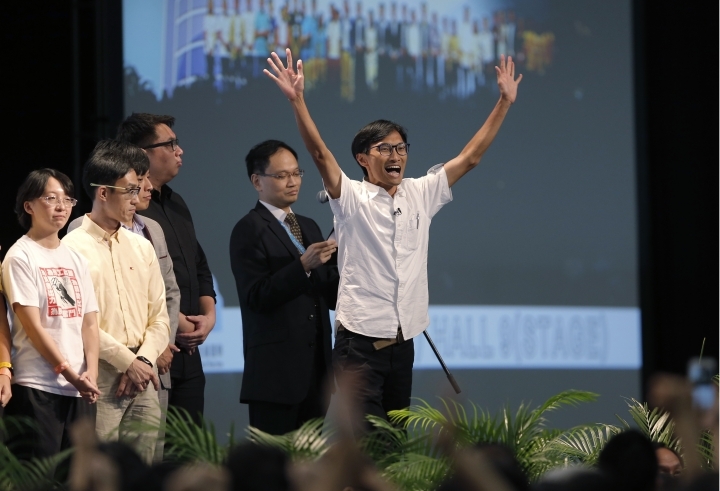 Final results showed that overall, pro-democracy candidates won 30 of 70 seats in the Legislative Council, three more than previously, which means they retain the power to block government attempts to enact unpopular or controversial legislation, such as a Beijing-backed revamp of how the city's top leader is chosen that sparked the 2014 protests. 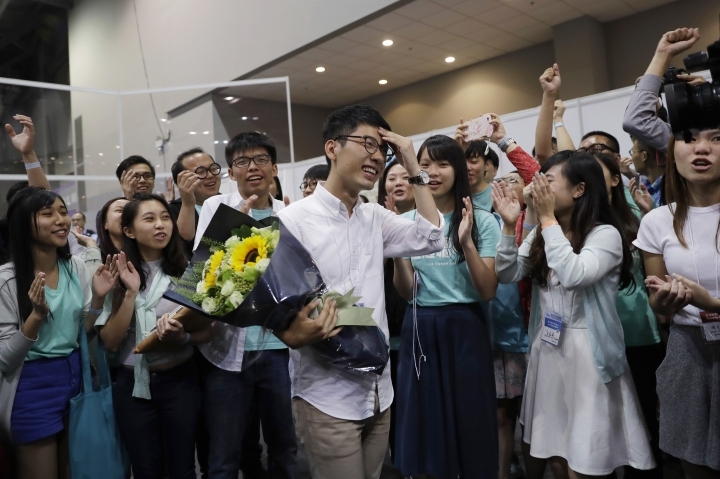 Record turnout in Sunday's vote helped sweep the newcomers into office, most notably Nathan Law, a 23-year-old former student protest leader, who garnered the second-highest number of votes in his six-seat Hong Kong Island constituency. 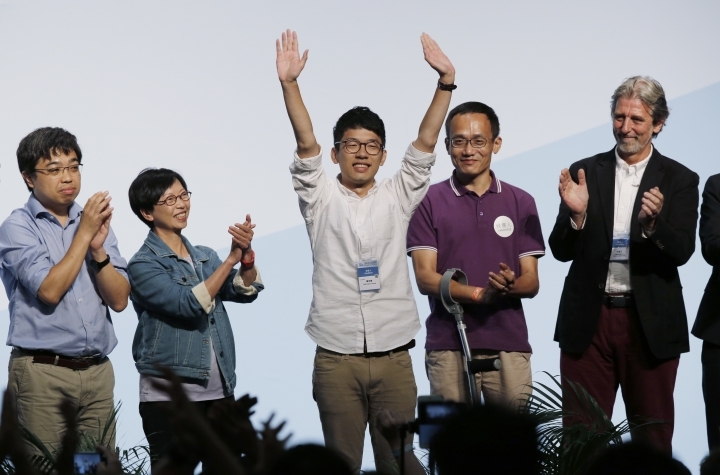 Law's party, Demosisto, founded earlier this year with teen protest leader Joshua Wong, advocates a referendum on "self-determination" on the future status of Hong Kong, which is in the middle of a 50-year transition period to Chinese rule. In another surprising result, Yau Wai-Ching, 25, and Sixtus "Baggio" Leung, 30, of Youngspiration also secured seats. Their group was formed during the 2014 protests and proposes a similar plan as Demosisto. 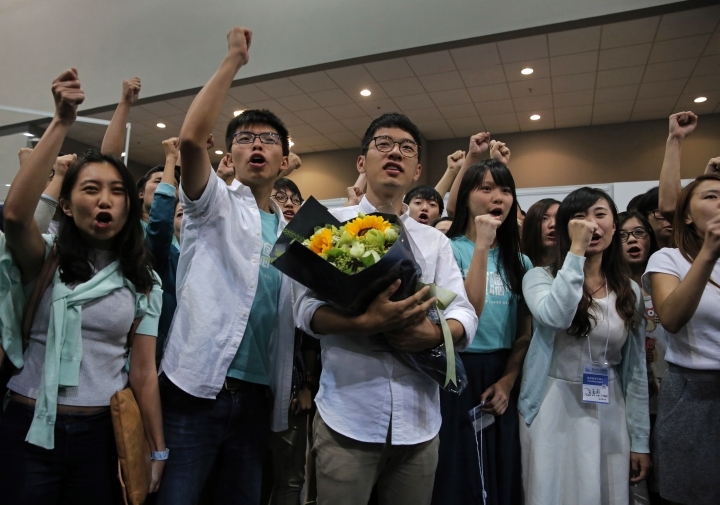 The results are a sign "that Hong Kong people want to resist," said Leung. "This is what Beijing should know. When we can't trust 'one country, two systems' and the Basic Law to maintain the distinction between Hong Kong's system and Beijing, then the next step, the answer is to cut things off." Under the principle of "one country, two systems" and the Basic Law constitution, Beijing is supposed to let Hong Kong keep its capitalist economic and political system separate from mainland China's until 2047. They were part of a broader wave of radical activists who campaigned for Hong Kong's complete autonomy or even independence from China, highlighting fears that Beijing is violating its promise to let the city mostly run itself, as well as frustration over the failure of the 2014 protests to win genuine elections for Hong Kong's top leader. Leaders in Beijing and Hong Kong will have to reconsider their hard-line approach toward rising pro-democracy opposition after it backfired, "because now with the entry of a new generation of young democrats into the legislature, the politics inside the legislature will be very fierce," said Sonny Lo, a political analyst at The Education University of Hong Kong. 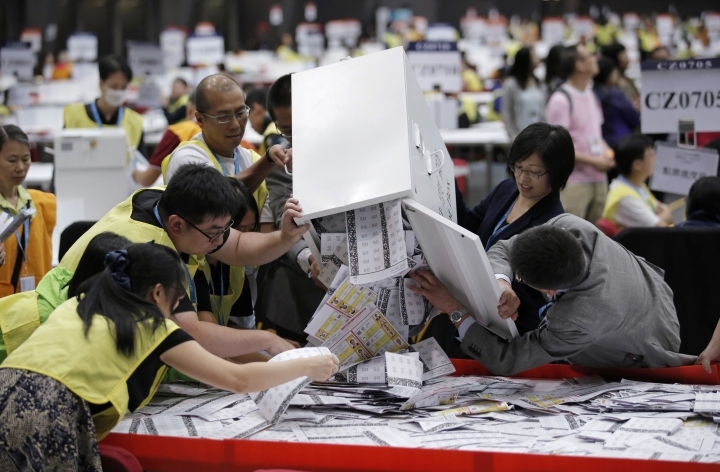 About 2.2 million people, or 58 percent of registered voters, cast ballots for the Legislative Council, the highest turnout since the city's 1997 handover from Britain. 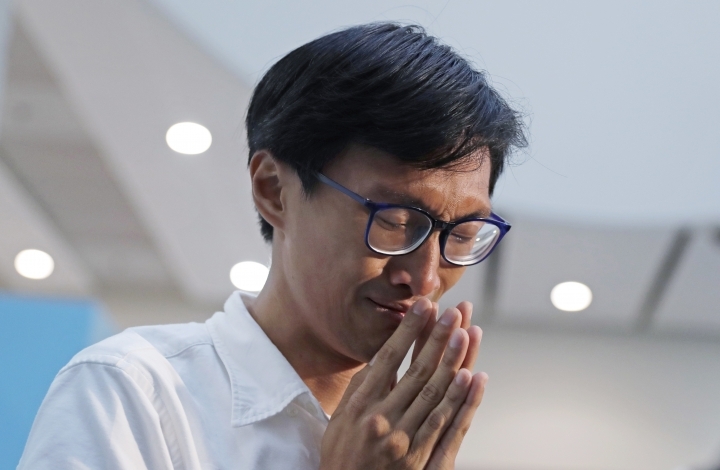 Another rookie, 38-year-old land reform campaigner Eddie Chu, was the election's biggest surprise, winning 84,121 votes, the highest number of votes received by any of the more than 200 candidates competing for 35 seats in geographic constituencies. "I hope to renew the democratic movement of Hong Kong," Chu said. He too wants to focus on promoting a self-determination movement. "That is my political goal in Hong Kong." Five "super seats" are chosen by voters citywide, and 30 are taken by members representing business and trade groups such as accounting, finance, medicine and fisheries, most of which support Beijing because their members have close ties to China's Communist elite on the mainland.